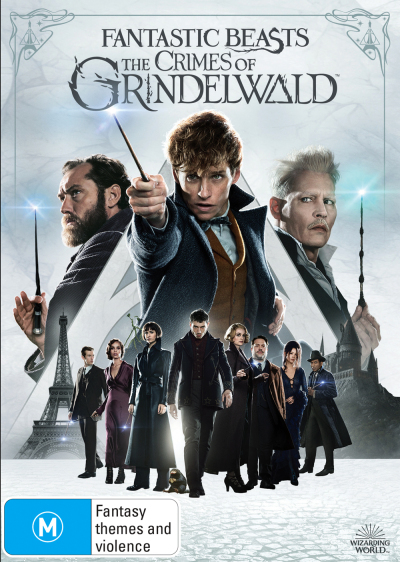 The Fantastic Beasts: The Crimes of Grindelwald DVD is the 2nd of 5 all new adventures in J.K. Rowling’s Wizarding World. At the end of the first film, the powerful Dark wizard Gellert Grindelwald was captured by MACUSA (Magical Congress of the United States of America), with the help of Newt Scamande. But, making good on his threat, Grindelwald escaped custody and has set about gathering followers, most unsuspecting of his true agenda: to raise pure-blood wizards up to rule over all non-magical beings. 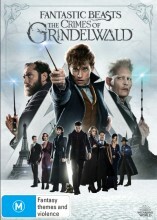 The Fantastic Beasts The Crimes of Grindelwald DVD is written by J.K. Rowling and stars Johnny Depp, Eddie Redmayne, Katherine Waterston, Ezra Miller, Katherine Waterston and Dan Fogler. The Fantastic Beasts Crimes of Grindelwald DVD is a must for every Harry Potter fan. Click the button below to add the Fantastic Beasts: The Crimes of Grindelwald to your wish list.